Background:This is another one that has been sitting for weeks for me to review. I had this once at the end of a dinner party and thought it was pretty good. It will be interesting to see how it holds up during a full review. 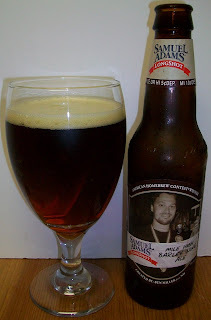 Review:The beer pours a clear dark amber with ruby hues and a off white head. The nose is rich with robust toasted malts and hops. That’s a barley wine for sure; robust malts and hops and that classic Barleywine harshness. There is a unique harshness to the barley wine style and this beer does have it. It starts out almost sweet on the tip of the tongue but that is only for a split second. 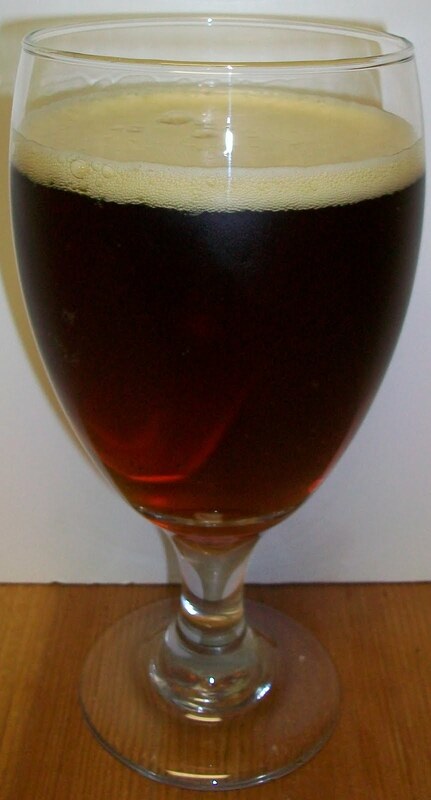 It is immediately replaced with a robust malt bitterness followed by a hop bitterness that carries through the middle of the sip to the back end. The back end has a much stronger robustness to it. There is a clinching of the throat at the top of the swallow that makes this robust ale not so easy to drink. That’s not bad its par for the style and makes these robust ales more of a sipping ale rather than a drinking or guzzling ale. At the end of the swallow into the finish you are hit with an almost harsh hop and malt robustness. Again par or the style, Barleywines are not for the faint of heart. The finish ends fairly dry, mainly due to the hops and alcohol. There is a lingering classic Barleywine aftertaste. I’m sorry that sounded a lot worse than it actually tasted. There is a unique robust almost harsh style to a Barleywine that is hard for me to describe. All and all this is a very good Barleywine. It has the classic Barleywine robustness in malt and hop bitterness. This is very enjoyable. It has warmed to room temperature and picked up no unpleasantness whatsoever. I’m going to give this a B for a very good Barleywine. The robustness of a Barleywine is not for everyone but if you like Barleywine I highly recommend that you try this one. I was pretty impressed with this year’s Longshot winners. All three were very good beers. I strongly recommend picking up a six pack while they are still available.